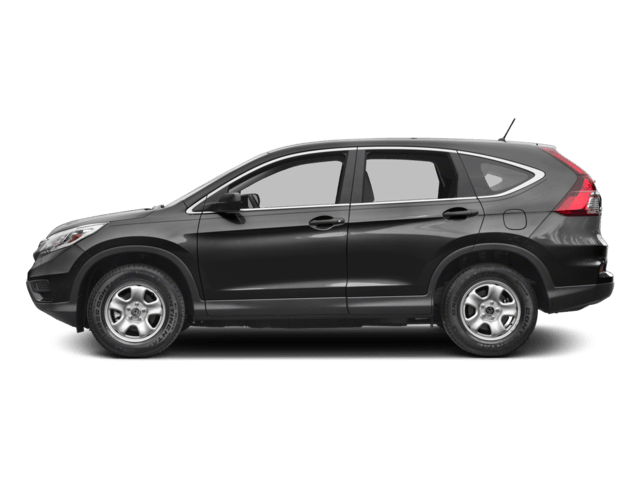 As a compact Sport Utility Vehicle with a seating capacity for five passengers, the 2016 Honda CR-V is a great choice for families. This model is loaded with Honda’s trademark technology such as the i-VTEC engine, Honda Sensing safety features and HondaLink digital amenities. 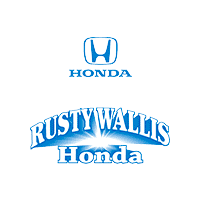 The CR-V is available in five trims with attractive exterior finishes such as Obsidian Blue Pearl, Copper Sunset Pearl and Crystal Black Pearl. The CR-V’s inline 4 engine with standard six-speed automatic transmission provides strong acceleration for highway and city driving, achieving 0-60 in 8 seconds and a competition beating 33 mpg on the highway*. Variable cylinder management helps shut off cylinders depending on driving conditions, giving an overall 26 /33 mpg combined fuel mileage. The 2.4-liter with 185 horsepower @ 6,400 rpm is the only engine available. It carries a full complement of passengers and gear without feeling strained or overburdened while letting the suspension absorb road bumps without inducing unwanted body roll in turns. 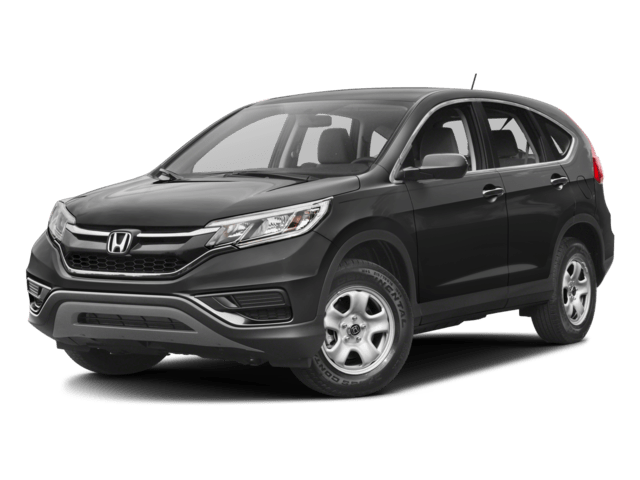 The base-model CR-V LX offers power front seats while the next step up, the EX model offers 8-passenger seating, power sliding doors, 3-zone automatic climate control, and leather seats in the EX-L model. The third row splits 60/40 and folds into the floor. The second row can be arranged to fit three child booster seats, which can slide fore-aft for convenient access by a parent in the front row. The second-row seats can also be removed completely to access the full carrying capacity of the minivan. 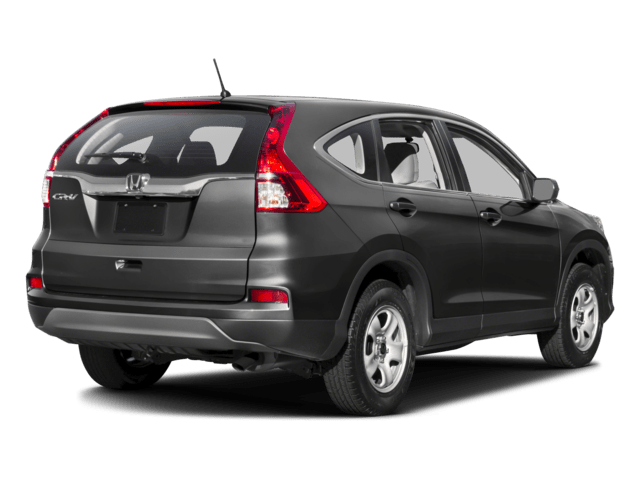 The base model 2016 Honda CR-V offers a 7-speaker audio with an 8-inch interface screen, a rearview camera, and Bluetooth® connectivity. First-class home-theater experience is available through the rear-seat entertainment with 5.1 Surround Sound and HDMI for a mini rolling concert hall. Additional tech features include the push-button start and remote engine start. The LaneWatch feature employs a passenger-side camera to provide a clear view on that side when the right turn signal is activated. input jack pipes the music from your portable device into the audio system. IIHS rates the 2016 Honda CR-V as a top safety pick, with GOOD results in every impact test that it administers. NHTSA awards the CR-V with an overall 5-star rating in Overall rating, Frontal Crash, and Side Crash, with 4-stars in the Rollover category. Additional safety features include driver and passenger airbags, side head air bag, rear head air bag, side air bag, 4-wheel disc brakes, 4-wheel ABS, brake assist, electronic stability control, traction control, child safety locks, and daytime running lights. The 2016 Honda CR-V is clearly a winning vehicle for those considering minivan solutions for their growing families. Contact us today to see it for yourself and to schedule a test drive of the 2016 Honda CR-V.